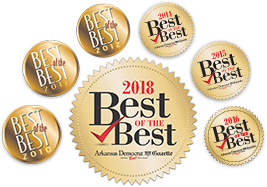 Dr. Branman and the Cosmetic Surgery Center is proud to be in partnership with the exclusive Arkansas Surgical Hospital in North Little Rock, where surgeries such as abdominoplasty, breast augmentation and liposuction can be performed. This physician-owned hospital ranks high in patient satisfaction scores, perhaps because of its 5:1 patient-to-nurse ratio and private hospital suites. Furthermore, the infection rate at ASH is significantly lower than the national average.